Garador Auckland provides Reliable & Trusted Advice about your Garage Door Purchase. Or you can visit our showroom, or phone us to discuss your options. However, it is important that we come out to site to make sure all is in order. Only then can we accurately price your new garage door & opener with no nasty surprises. Step 1 Work out whether your site is ready for a measure and quote. While we would all prefer to just get a quote from someone over the phone, unfortunately with a garage door, this is not the best way. A garage door dealer really needs to visit your home and measure up your garage door opening. This is the only way to get an accurate quote. It is not recommended that you do your own measure up for your garage door. Garador Auckland Sales RepGarador Auckland staff are trained to measure the garage opening, and know what allowances they need to make for tracks, wheels, etc before they finalise a garage door size. Also, we don’t suggest you use the measurements that one business gives you, to just source quotes from others. It all comes down to the type of door, your site conditions, etc. Before you decide to accept any quote, make sure the company has visited your home themselves and measured up. On a new build, we can measure once the framing is up, but you need to be clear on how the opening is going to be finished so that we can allow for it in our measurements. For existing openings, we will need internal access so you may need to be home at the time. 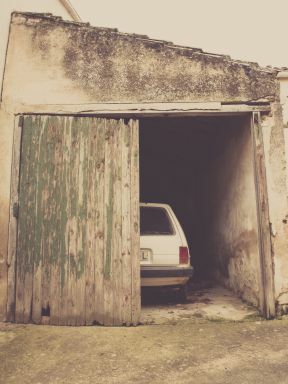 If access into the garage isn’t a problem, you may not need to see us, but it can be worthwhile meeting and talking with us to deal with any foreseeable issues with a new door install. One of our friendly sales representatives will visit your home, measure up and provide you with a no obligation quote. There are a range of different types of garage doors, as well as different styles of openers and other accessories available. Not all doors will suit your garage or carport, but we will be able to advise you on this, once we are on site. Before we arrive though, it is worth doing a little bit of your own research. What type of garage door do I like? a steel sectional door from the Garador range, wood sectional, Roller Door, or a tilting door. What opener will suit your home and lifestyle? If you have bedrooms near the garage, a shift worker in the home, or teenagers who come in at all hours, maybe you should consider a belt-drive garage door opener. We even have garage door openers that run from solar energy! What about accessories? There are a range of different accessories available for your garage door and opener, to make it more suitable to your lifestyle. Consider an entry keypad. Do you have pets or small children who may run under a moving door? Consider a Safety Infra-red beam kit (Note – Garador recommend that Safety Infra-red beam kits are installed on all automated garage doors). If you choose to get quotes from multiple businesses, and you notice a price difference between them, make sure you question them, to be sure you are comparing apples with apples. There are also differences in garage door openers. One of the biggest differences is in the warranty. Ask the sales rep – how many years is the warranty for? Does the warranty cover the whole opener and installation, or is it only the actual motor? Just check you know what you are getting, before you give your chosen business the go ahead. Once your garage door is installed – enjoy! Should you have any concerns after installation, your first point of call should be the business who installed the garage door. For your peace of mind, Garador Auckland stand behind their products and workmanship.